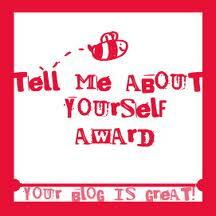 This entry was posted in Other, Writing and tagged Tell me about yourself blog award by jenniferscoullar. Bookmark the permalink. Congratulations, Jenny! 2012 is YOUR year, isn’t it! Thanks Cath. Any chance I’ll see you at the Melbourne Writer’s Festival? Loved reading your 7 things 😀 I’m right with you on numbers 1, 5 and 6. I’ve always preferred showers but that has nothing to do with bears and I try not to do 7 while driving. Now I’m off to check some of your nominees. I’m rather excited to be honest because apart from you and Metan, most of the bloggers I know are from overseas. I’m dying to see what my fellow aussies are up to. Ha, Ha! Thanks for including me in this, and hope you enjoy some of my nominees.